"Eliot Ness" follows the lawman through his days in Chicago and into his forgotten second act. As the public safety director of Cleveland, he achieved his greatest success: purging the city of corruption so deep that the mob and the police were often one and the same. And it was here, too, that he faced one of his greatest challenges: a brutal, serial killer known as the Torso Murderer, who terrorized the city for years. 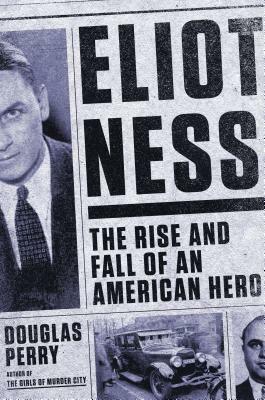 "Eliot Ness" presents the first complete picture of the real Eliot Ness. Both fearless and shockingly shy, he inspired courage and loyalty in men twice his age, forged law-enforcement innovations that are still with us today, and earned acclaim and scandal from both his professional and personal lives. Through it all, he believed unwaveringly in the integrity of law and the basic goodness of his fellow Americans. Douglas Perry is the author of "The Girls of Murder City: Fame, Lust, and the Beautiful Killers Who Inspired Chicago." Percy s an award-winning writer and editor whose work has appeared in the "Chicago Tribune," "The San Jose Mercury News," "The Oregonian," "Tennis," and many other publications. He lives in Portland, Oregon."